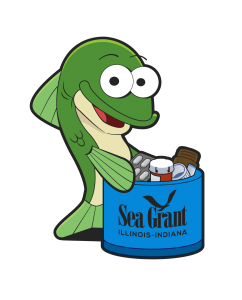 Illinois-Indiana Sea Grant’s (IISG) leading-edge initiative to support local medicine collection programs is marking its 10-year anniversary. Over this time, IISG-supported community programs in four Great Lakes states have collected and properly disposed of over 200,000 pounds, or 100 tons, of medicine. When pharmaceuticals expire or prescriptions change, this can present a challenge—how to properly dispose of these unwanted medicines. Drugs that are flushed or thrown in the trash can end up in nearby waterways. And keeping them around the house can be unsafe for children or pets who might accidentally ingest them. IISG’s work in addressing medicine disposal issues actually began through the inspiration of Lara Buluç, a 2006 NOAA Ernest F. Hollings Scholar working closely with IISG specialists Beth Hinchey-Malloy and Susan Boehme. “I was interested in the policy and practical solutions that could improve pharmaceutical disposal methods to reduce the risk of these chemicals entering our wastewater stream,” said Buluç. A U.S Geological Survey study at the time found traces of painkillers, estrogen, antidepressants, and blood-pressure medicines in water samples from 30 states. Later, in 2010, an IISG-funded study found a similar cocktail of pharmaceuticals in nearshore waters of Lake Michigan.  Buluç spent her summer internship gathering information about the impact of pharmaceuticals and personal care products on the environment as well as public education models to develop a toolkit for communities to set up their own collection programs. Hinchey-Malloy and Boehme worked closely with communities to refine this resource. “Communities came to us with a definite need and we worked collaboratively to fulfill that,” said Boehme. In 2008, Hinchey-Malloy and Boehme, who were located in the EPA Great Lakes National Program Office, began working with communities to set up collection events for safe disposal of medicines. Over time, as IISG’s Laura Kammin took over this initiative, the focus turned to establishing ongoing, sustainable collection programs, which proved to be more convenient for people’s schedules. Today, 51 IISG-supported programs in Illinois, Indiana, Wisconsin and Michigan offer their communities a permanent location to dispose of unwanted medicines. More communities are on the waiting list, looking to establish collection programs with help from Sarah Zack, IISG pollution prevention specialist, who leads the effort today. In addition to community medicine collection programs, IISG has addressed the medicine disposal issue through educating and inspiring teachers and students to raise awareness in their communities. Program educators Robin Goettel and Terri Hallesy, working with Paul Ritter, a high school teacher in Pontiac, Illinois, and the founder and leader of the Prescription Pill and Drug Disposal Program, compiled the Medicine Chest, a compendium of lessons on the impacts of medicines in the environment as well as how to engage in stewardship. Kirsten Hope Walker later updated the publication. IISG’s education team has brought this resource to teacher workshops and directly to students, working with the University of Illinois, Great Lakes Sea Grant programs, museums and non-profit organizations. IISG debuts its new medicine collection mascot. Join in the Twitter conversation to name this fish. Eight years ago, IISG also joined forces with the American Veterinary Medical Association (AVMA) to help inform veterinarians and their clients about proper disposal of pharmaceuticals prescribed for pets. Kammin worked closely with AVMA to establish a formal partnership that also included the National Sea Grant Office, to share medicine disposal information through a variety of resources and by interacting one-on-one with veterinarians at conventions and other events. One high-profile outreach effort from the collaboration was a billboard on the CBS JumboTron “Super Screen” in Times Square in New York City that ran through the 2011 busy holiday season and well into 2012. Sea Grant and AVMA raised awareness in tourists and other Times Square visitors about concerns related to flushing medicine. This 15-second spot ran about 18 times every day. Since IISG began its work in this area 10 years ago, awareness regarding the need for easy and sensible ways to dispose of pharmaceuticals has increased, whether the concern is safety or for the health of the environment. IISG’s website, unwantedmeds.org, has had over a million page views since it went online in 2012. And, IISG initiated a national Sea Grant working group that helped foster medicine disposal programs in coastal states around the country. Focused on this issue and other emerging contaminants, as many as 17 Sea Grant programs participated. During this time, larger campaigns have also taken hold. The U.S. Drug Enforcement Administration, or DEA, with guidance from IISG and its toolkit, began their own nationwide National Prescription Drug Take Back days in 2010. 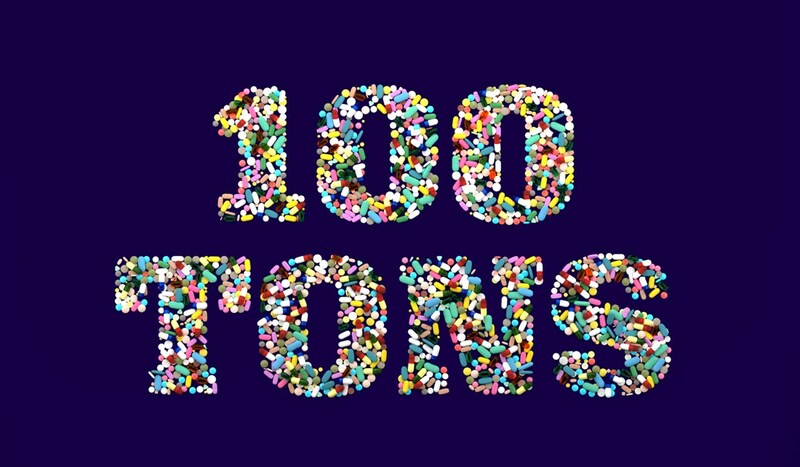 Thus far, nearly 11 million pounds of unused medications have been collected over the course of 16 events. Pharmacies are stepping up, most notably Walgreens. Working with DEA to safely dispose of pharmaceuticals, the retailer has installed more than 1,000 disposal kiosks in their pharmacies across the country. In the spring of 2019, all Walgreens pharmacies will offer free safe disposal options. Some county and state governments are also initiating action. Most notably, both California and Massachusetts enacted new laws to establish a comprehensive state-wide take-back system for medications funded by pharmaceutical companies.